Objective: This one time... at Bandit Camp! Raid the Graywolf Renegades fort. Their ranks include some of the most wanted outlaws in the world! Objective Completed: This one time... at Bandit Camp! Raid the Graywolf Renegades fort. Their ranks include some of the most wanted outlaws in the world! 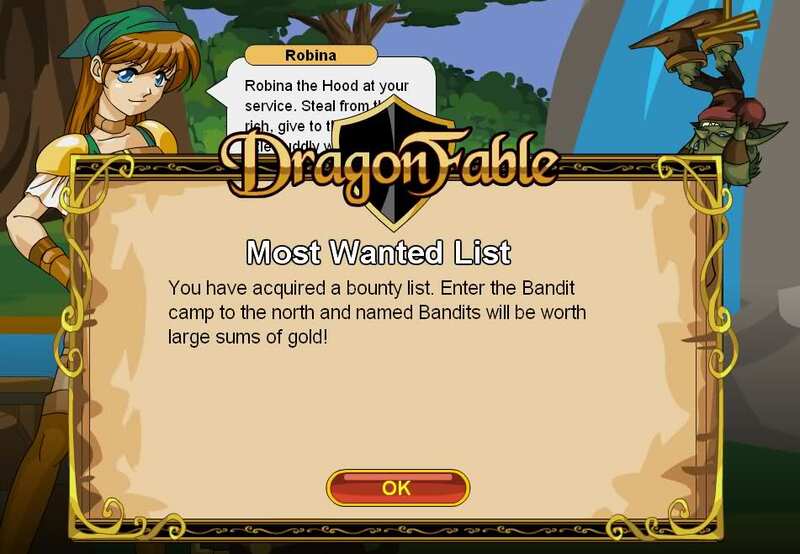 If you take the Bounty List from Robina, the boss at the end of the quest will have one of six names and will give you more gold after you kill him. 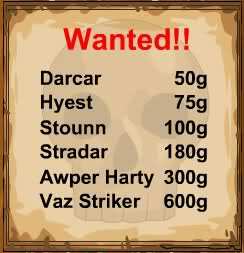 To get the Bounty List go to Robina and choose Bounty Hunting -> Yes!. Note: The bounties give 20% more Gold than they're supposed to. 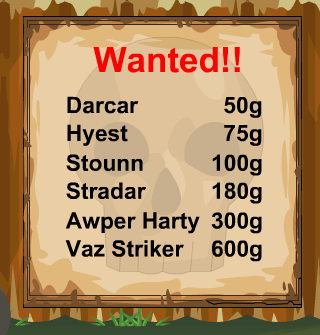 Vaz Striker would reward you 720 Gold, but the quest caps at a maximum of 650 Gold. -- Crynsos, Kiki, Telsek, Flaming cats on fire, Shadow Phoenix, Npman5, werepyre338, John Anderson Smith. -- cmwebs, Vadim, the mentor, lancereaver1, Kerrrigor, strangeling, Pink_Star. -- PaperClip OF DOOM for rewrite. -- Voodoo Master for corrections.